Is Wall Street in a Bear Market? This week’s EVA features two recent pieces: Is Wall Street in a Bear Market? When I studied finance, I was taught that if I put hard earned money in the bank, I would received interest. Conversely, if I wanted to borrow money, there was a cost associated with doing so. Many investors are overlooking just how much impact central bank’s policy is having on the financial world and how much real interest rates penalize savers. Retirees’ confidence in their financial future has nearly doubled since the recession, according to the Employee Benefits Research Institute. A sign of improvement is the decline (almost half) of workers postponing retirement (13% this year versus 25% in 2009); 37% of retirees say they are confident they will be able to live comfortably for the remainder of their golden years (versus 20% four or five years ago). 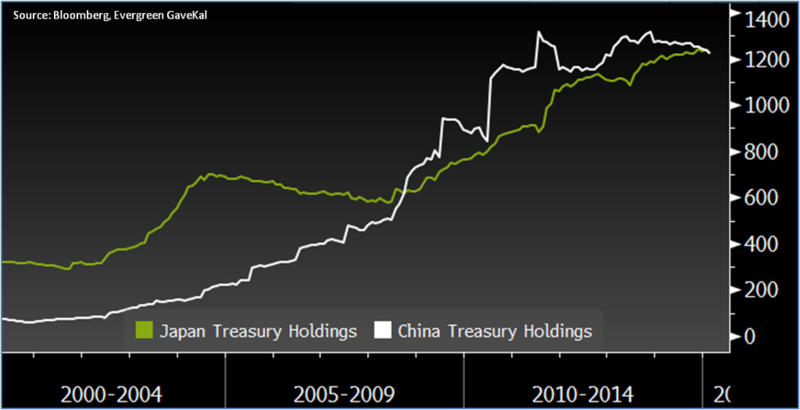 With 10Y JGBs yielding just 0.30% it’s not surprising Japan surpassed China as largest foreign holder of USTs. 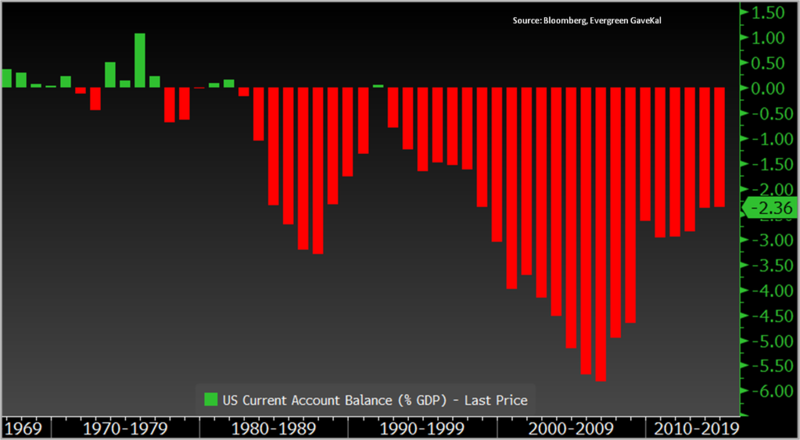 Falling Fed deficits have neutered any serious efforts for fiscal reform. The trend is not our friend in this regard.